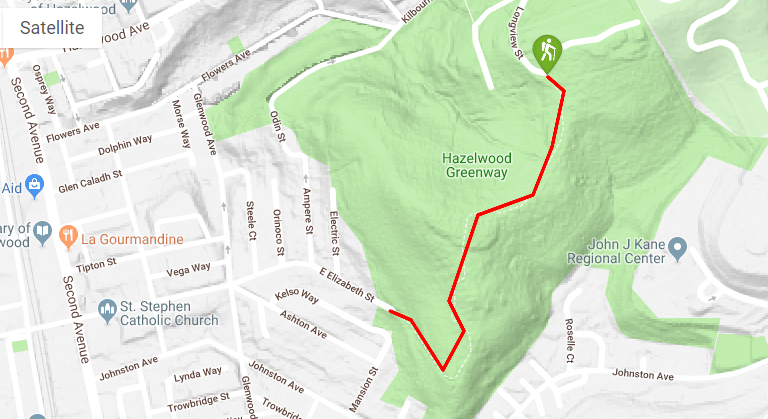 I bet you didn’t know there was a hiking trail in Hazelwood, did you? Many of the neighborhood’s own residents don’t know either. Local resident and community leader, Joey Hepner, is hoping to change that. The Hazelwood Greenway trail is a moderate, one mile, out and back trail, which connects East Elizabeth Street and Longview Street. 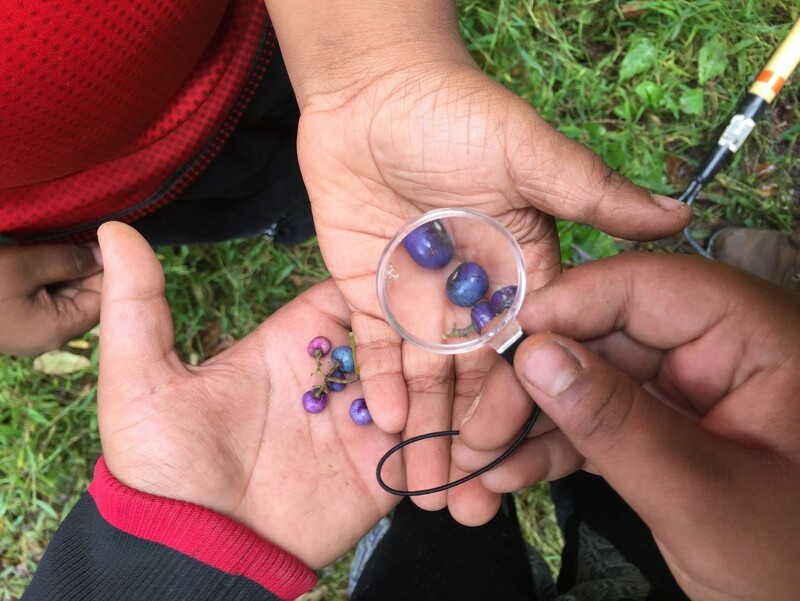 While the trail itself is in a great location, close to many residents and Second Avenue – the main street in Hazelwood, there is a great deal of trash, tall grasses, and branches that cover the trail. 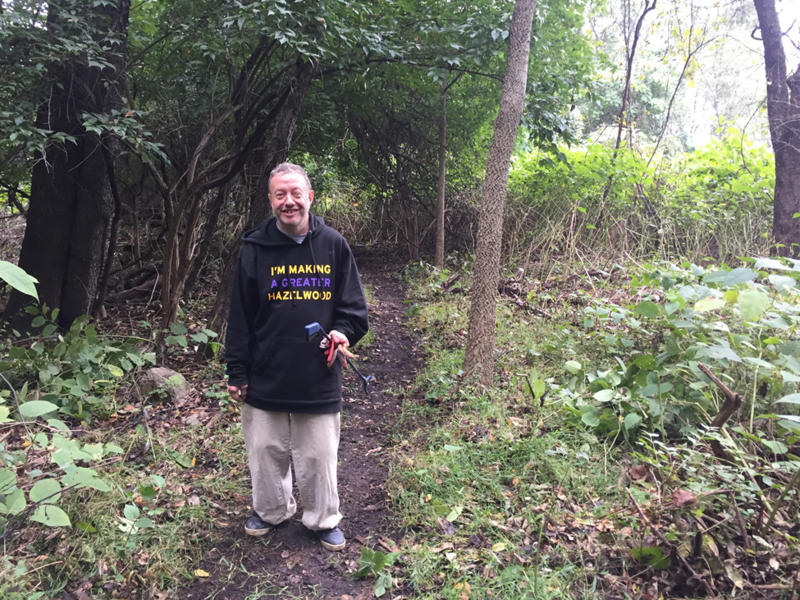 In hopes of making the trail more accessible and more heavily utilized by the community, Joey planned a day to clear the trail himself. A map of the Hazelwood Greenway Trail. This past weekend, I had the opportunity to spend the day working hard to clear the trail alongside Joey and fellow community leader and artist, Edith Abeyta. Edith has worked in Hazelwood for the past several years, bringing opportunities for art to Hazelwood residents and developing creative projects that benefit the Hazelwood community. Along with Joey and Edith, a few kids from the community came to help out, too. Kartiye, Lutual and Malachi each worked very hard with us to help lift branches, cut away low-lying brush, sweep rocks and leaves from the trail, add gravel to areas where water collected, and pick up a great deal of bottles, cans, and other garbage from the trail and it’s surrounding area. Joey smiling as we began our work on the trial. Lutual and Kartiye taking a closer look at some berries we found on the trail. Don’t worry, we didn’t eat any! 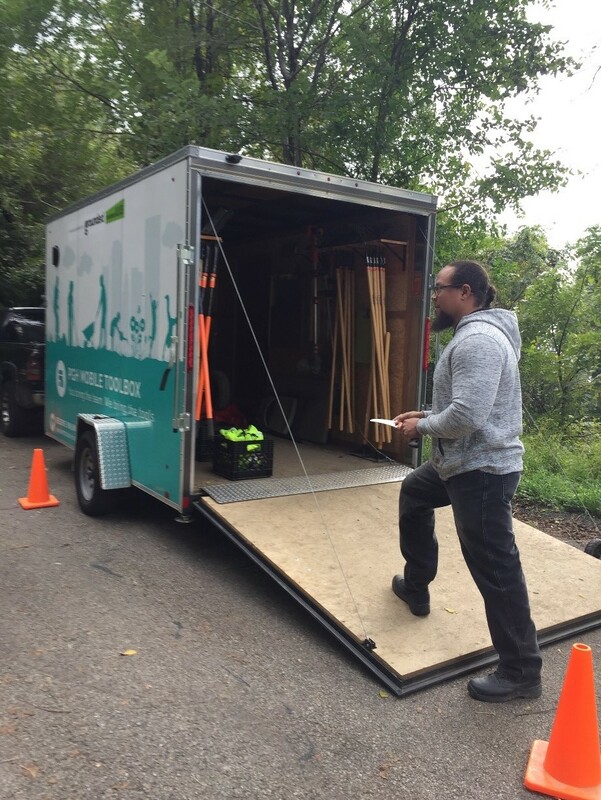 Jammar with the Pittsburgh Mobile Toolbox - a free community resource from the “Lot’s to Love” program, which allows Pittsburgh residents to rent gardening and construction tools to help beautify vacant lots and public spaces. Overall, it was an awesome day. While the work was hard, we all left feeling that we had made a major impact on the trail - surprising ourselves with how much we were able to clear and how much trash we were able to collect and carry out. It felt good to give back to a community that I’ve worked with so closely over the past two years. Hopefully Malachi’s vision comes true, and that more and more people, including its own residents, will get out and enjoy all of the great things that the Hazelwood community has to offer.